I hope everyone had a very Merry Christmas with their families. I went to midnight mass and then spent the day with my family and friends hanging out and eating and eating and eating haha. On Boxing Day I went to watch The Hobbit – Battle of the Five Armies and also Night at the Museum 3. I enjoyed both movies. I’m teaching on a limited schedule and will be back full time teaching Monday 5th January. 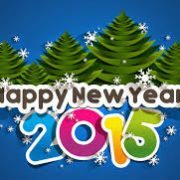 I’ll squeeze in some shopping, beach time and more movies with family and friends in between, I wish you all a Happy and safe New Year. 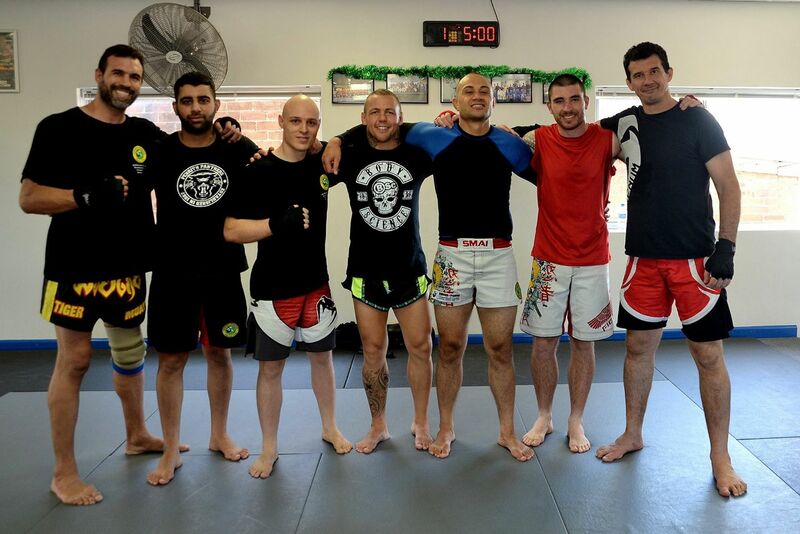 UFC Lightweight fighter Ross Pearson held a Boxing and Kickboxing seminar at my MMA gym in Sydney on Saturday 20th December. About 35 students attended the seminar. Ross specialises in striking and showed many striking techniques, combinations and strategy to the students for over 3 hours. He stayed afterwards to take photos and talk with everyone. All the students said they enjoyed the seminar and would start practicing what they learnt. You can check out some photos below. I was asked by MMA Kanvas to comment on lifting weights and MMA. Two other Aussie UFC fighters give their view too. 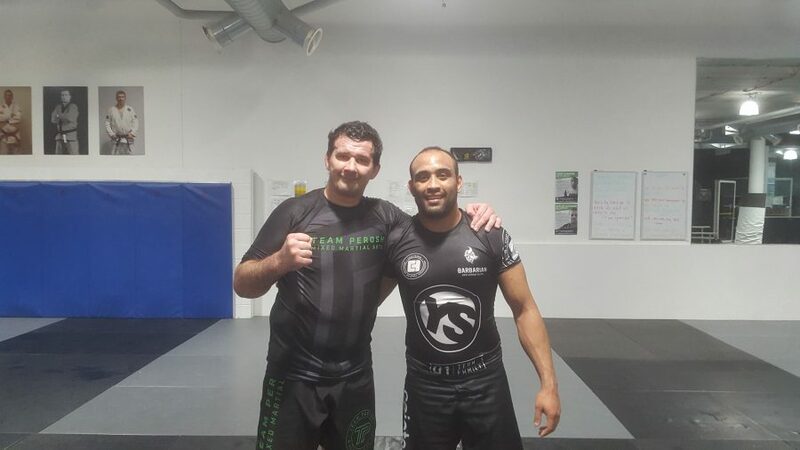 I ran BJJ gradings and BJJ and MMA seminars at my affiliate schools in Kemps Creek, Minchinbury, Macquarie University, Girraween, Brisbane, Mackay, Yeppoon and Rockhamptom. 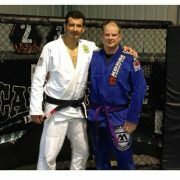 I also awarded a BJJ purple belt to Mackay MMA head of school David Garnham. All the students at all the affiliate schools did fantastic. 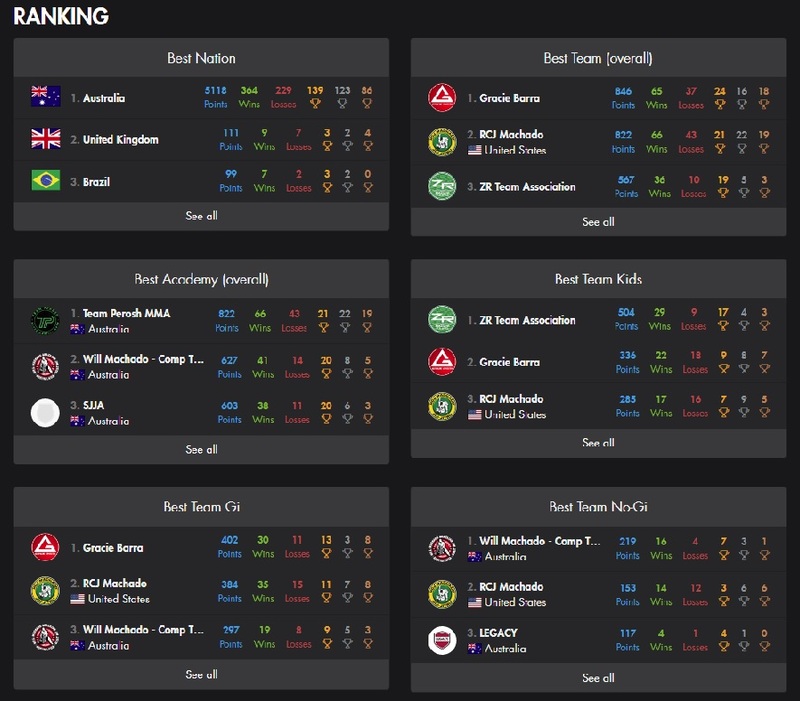 That is a great credit to the students for putting in the hard work and also the instructors for teaching them the techniques of my syllabus. 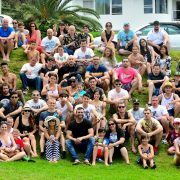 My two Sydney gyms finished the year off with gradings in BJJ, Muay Thai Kickboxing and Kids BJJ and then our annual Christmas Party with a BBQ on the beach. 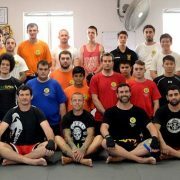 About 160 students graded from my Concord and Moorebank MMA gyms. 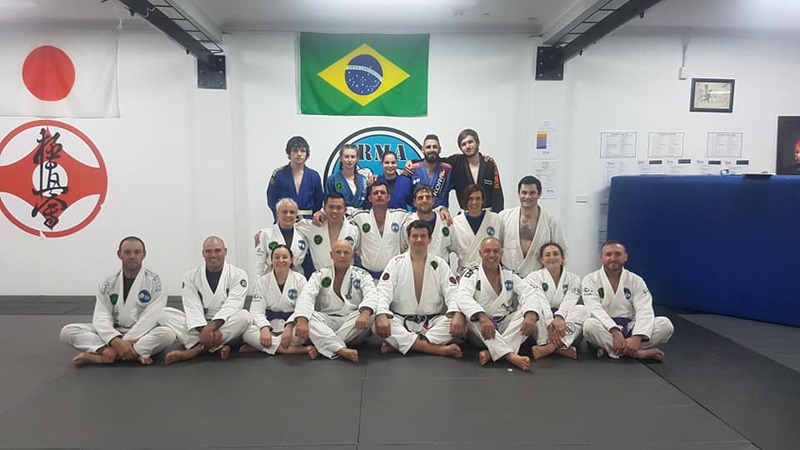 Two new BJJ black belts were awarded to Andrew King and Jonathon Cuniowski and nine new brown belts to Aydin Mrouki, Tony Pycroft, Wade Huang, Adam Assuncao, Tim Wong, Daniel Ung, Tyrone Bell, Andrew Husmann and Billy Sam. About 150 students, family and friends came to our Christmas party at Collaroy Beach on Saturday 13th December. It was a great day and the rain held out. Our annual awards were handed out. Adults Competitor of the year Frances Bavaro, Adults Most Improved of the year Andrew Mills, Kids Competitor of the year Oliver Silvestro and Kids Most Improved of the year Zander Mucenski. 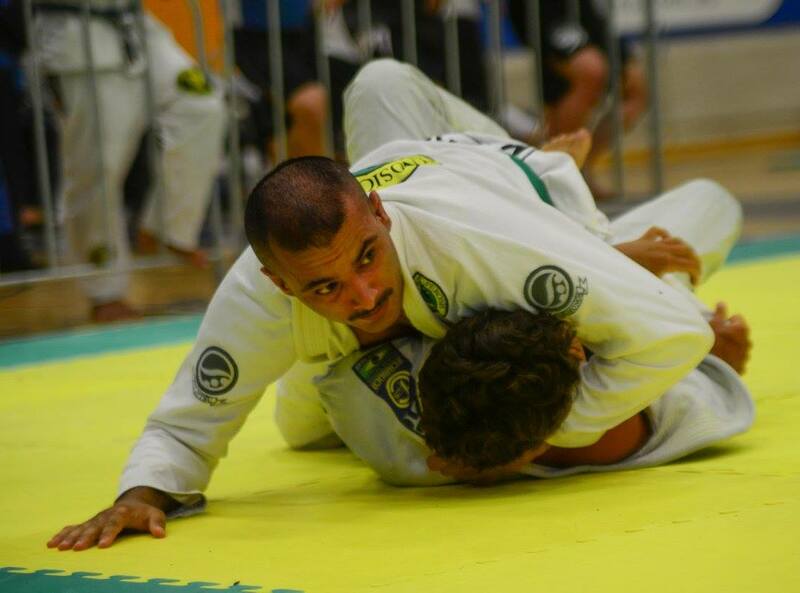 Team SPMA competed in 5 BJJ comps around Sydney the past 4 months and won an outstanding amount of medals. 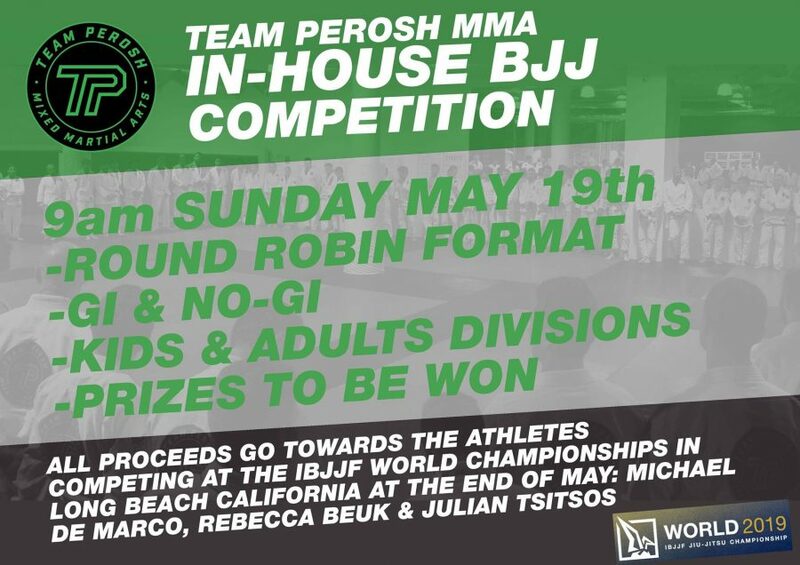 About 80 Team SPMA BJJ competitors won 25 gold medals, 25 silver medals and 18 bronze medals. Adult stand outs include Shaher Khan, Frances Bavaro, Tony Pycroft, Daphne Cuniowski and Dominic Lees. Kids stand outs include Oliver Silvestro, Eemil Iivonen, Zander Mucenski, Anwar Kumar and Aadam Kumar. What a team! 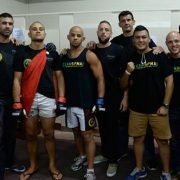 Team SPMA went 4 wins 4 losses in MMA matches held around Sydney, Wollongong, Blue Mountains, Canberra and Melbourne. Andrew Mills won 2 matches in September and November, Jeshua McPhail won in September and Bryce Spiteri won in November in the Blue Mountains. 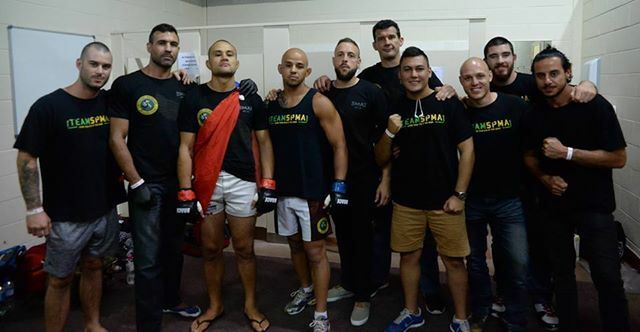 Steve Micallef and Gerhard Voigt both lost their title matches in the Brace MMA show on 22nd November in Canberra. And Byron Cowell lost both his matches in September in Wollongong and December in Melbourne. 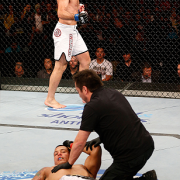 I was featured in MetroPCS UFC Move of the Week: Anthony Perosh KOs Vinny Magalhaes. I fought and won with Whooping Cough! 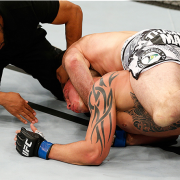 I didn't know I had Whooping Cough till I had a blood test the Monday after my fight at UFC Fight Night 55. Here is an interview I did with MMA Kanvas about it. 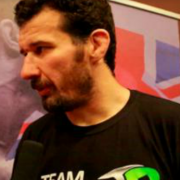 https://teamperoshmma.com.au/wp-content/uploads/2014/12/UFC_Fight_Night_55_Anthony_Perosh_Interview.png 346 651 Anthony https://teamperoshmma.com.au/wp-content/uploads/2017/07/logo.jpg Anthony2014-12-29 09:16:512014-12-29 09:33:56I fought and won with Whooping Cough! As soon as I won my fight at UFC Fight Night 55 in Sydney I went backstage and did a few interviews. Here are the links to them.